He thought he might be a salesman. Or maybe a furniture store owner, advertising his wares on television. 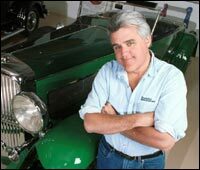 Instead, said Jay Leno, an Andover High School English teacher set him on the path to fame. The popular ''Tonight Show'' host had no idea that being the class clown could lead to a successful career until teacher Sandra Hawkes asked him to take her creative writing course. Leno said he spent hours writing and re-writing his assignments. Today, with an 11-minute monologue to prepare five days a week for his television show, he still spends time writing jokes. It's a process he first began with Hawkes - and Leno has never forgotten it. He memorialized Hawkes after her death with a scholarship fund at the school. Successful people like Leno don't make it to the top alone, say specialists. Behind each is someone who defined them in a positive light or supported their choices. Through their words and actions, these career catalysts spur an individual on a new path of self-discovery. Executive coach Mark Campbell of Newton teaches corporate managers to be catalysts for others. But, he said, that ability to reach out and make a difference in another's career doesn't come easily. Hawkes was that person for Leno, helping him to take the first step from high school cut-up to a comedic superstar. ''Just the slightest attention from an adult when you're a kid can have a tremendous effect,'' said Leno. He, in turn, has cultivated new talent and given comedians the break of a lifetime when they appear on his show. But fame is not a prerequisite for success. Working professionals also experience enormous job satisfaction and rewards. Many can point to a mentor or adviser whose time and interest made all the difference in their career. At 23, Sarah Lamb, a principal dancer with the Boston Ballet, has had to achieve success quickly since a ballet dancer is winding down a career by 30. Her high level of motivation was apparent to at least one former Boston Ballet official. Lamb was singled out in her Boston Ballet classes by Russian dance instructor Madame Tatiana Legat. Legat coached Mikhail Baryshnikov and came from a distinguished Russian ballet family based in St. Petersburg, said Lamb. ''She took me under her wing when I was 13 and made it very obvious to me that she was going to really believe in me and try her hardest into making me the very best dancer she could,'' Lamb said. While Lamb's and Legat's relationship unfolded in the dance world, the workplace can foster similar relationships. Social psychologist and organizational consultant Gerri King of Concord, N.H., said such unions can be cultivated through mentoring programs. When WCVB-TV chief meteorologist Harvey Leonard was getting his master's degree in meteorology at New York University in the early 1970s, he found a mentor in a professor, Vincent Cardone, who led a weather briefing for faculty and staff. But one day he asked Leonard to fill in. Leonard enjoyed the role so much, he asked to lead the briefings more frequently and the professor acquiesced. After more than 25 years on air, Leonard is among Boston's best-known broadcasters. 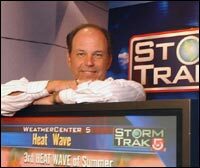 He has also helped others get their television starts including former interns WBZ-4 meteorologist Ed Carroll and NECN weekend meteorologist Matt Noyes. A schoolyard accident, a false accusation, and a mother who fought to clear his name led Harvard law professor Alan Dershowitz to become a defense attorney. He was a high-spirited 12-year-old attending a private school in Brooklyn and was often in trouble with the principal, Dershowitz said. 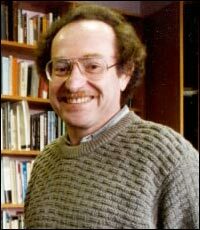 One day a buddy was injured in a schoolyard game, and Dershowitz was blamed. But Dershowitz's mother believed her son did not cause the boy's injury and was determined to prove it. He decided to become a defense lawyer and has represented O.J. Simpson and Claus von Bulow, among others. 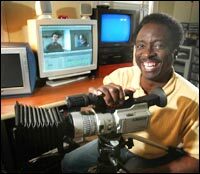 Television producer and writer Roberto Mighty modeled himself after Boston filmmaker Henry Hampton. In 1987 Hampton's Blackside Inc. produced the acclaimed Public Broadcasting Service series ''Eyes on the Prize,'' a history of the civil rights movement. But in 1980, Hampton was making a corporate film about the US Census. Mighty was operating his own audio-recording studio. Because their workshops were both located in a former factory building in Boston's South End, their paths crossed and Mighty ended up composing music for Hampton's film. ''I was so psyched when I met him because he was a black man and I'm an African American and it was my first time meeting a black filmmaker in Boston,'' said Mighty. He never became a personal friend but said he watched Hampton and learned from afar. Mighty went on to produce corporate and nonprofit films and videos, and two WCVB-TV programs, including ''This Amazing House'' which will begin its second weekly season in March. The man who would eventually push Tom Stemberg, founder and chairman of Framingham-based Staples Inc., to success, was at first a rival. Stemberg said Leo Kahn, founder of Purity Supreme and Heartland Food Warehouse, not only steered him into specialty retailing 18 years ago but was the first investor in Staples. They were competitors in the world of supermarket chains. But when Stemberg lost his job at First National Supermarkets, Kahn sent word for Stemberg to call him. ''Not only did I feel better about having just gotten fired, but [Leo] wanted to buy a grocery chain with me,'' said Stemberg. Unfortunately, every chain they considered would have violated Stemberg's non-compete agreement. Kahn then suggested that Stemberg consider specialty retailing, and the idea for an office supplies supermarket was born. Having the unconditional love of a parent also makes it easier to succeed. 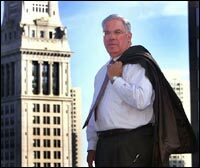 The parents of Boston Mayor Thomas M. Menino built a foundation of love, trust, and community by which he continues to model his life. His mother, he said, would help Italian immigrants get started. ''She'd translate for them. Help them find healthcare,'' he said. ''They're the ones that rooted me into how important the neighborhoods are,'' Menino said.